We’re happy to accept requests for reviews for novels and novellas of any and all genres. Because we rely on contributions from others, we’ll try our best to pair your book with a reader who’ll give your genre a fighting chance. If they don’t like it, tough. No do-overs. If you’re still game, send us an email with “Review Request” in the subject line. In the body of the email, please include title, author name or pen name, genre, number of pages, and the format you’re willing to send. We’ll send the info out to our reviewers, and when we get a bite, we’ll contact you for the book and let you know when you can expect your review to post. I see potential, but the book didn’t quite get there. I really liked it except for a few boring spots/technical problems/characters with names of people I hate. Fantastic book, and one I’d recommend to anyone. Only a book this incredible could have the title of “Brass Monkey” bestowed upon it. So there’s the rating system. Easy enough, right? 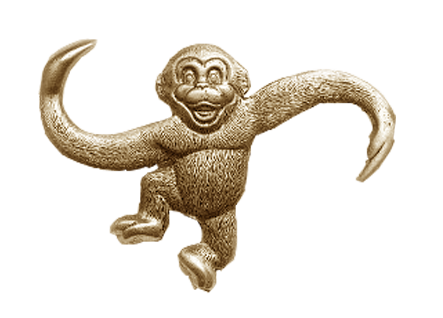 You can get your Brass Monkey, but you have to take the first step and request a review. Special thanks to Robby Coles for creating the images for our rating system.